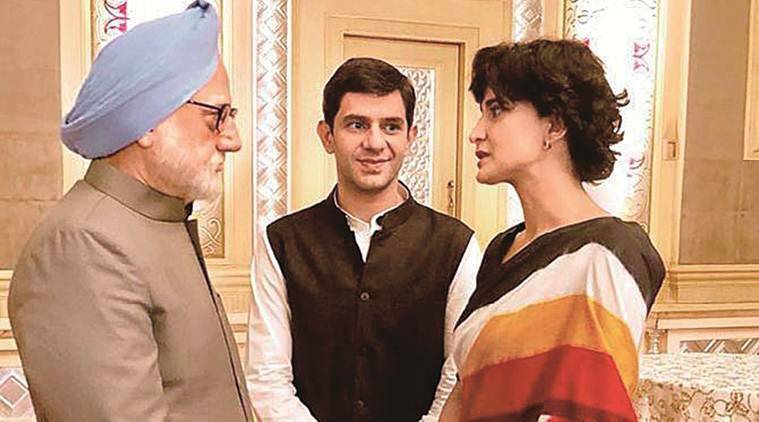 Aahana Kumra will be seen next in in The Accidental Prime Minister. You are known to experiment with your roles. What more do you want to explore? This question should be asked to the filmmakers. Do they want to give roles which are challenging or just make actresses play safe characters? I don’t want to play it safe at all. I have experimented a lot when I was at film school but when working in the films or television, it became far less experimental. And I think that needs to be pushed. You pick up any poster, you will find ten boys and only one girl. It always looks like a sausage fest. For example, look at the recent ones, even Stree has one woman and four men. The poster of Nitish Tiwari’s recent film Chitchor also has one women and ten men. Why can’t they write more roles for women? The experimenting will come only when roles for women are written. You have worked in different platforms from theater, TV, and films to webseries. Which medium do you find the most creative and expressive? I respect television tremendouly as this was the first medium where I made money but I hated it because it is terrible for actors. They don’t bother about the performance and focus on the appearance. Televison can give you money and short-lived fame, but not a career. I enjoyed doing theater and absolutely love doing films. But right now I love doing web, because there is a lot of experimentation there. The kind of roles I have, are different from one another. I feel privileged and very happy that everbody is coming up with different roles and charaters. You have worked in films like Lipstick Under My Burkha and The Blueberry Hunt, both with unusual themes. What made you choose these films? I didn’t choose them, they chose me. You can say no to some films but as an outsider, who doesn’t come from the film business world or family, how many films will you say no to? It is very difficult to break into the film industry because it is a clannish space. Everybody is somebody’s brother, sister, or nephew. So one is really lucky if one gets a good film for a start. Once that happens, and there is a repeat, somebody likes your work and they will hire you again. So you need to set the ball rolling for yourself. I have been lucky that these films have chosen me. In fact for Lipstick… the dates had not worked out and I said no to the film because I was doing a show simultaneouly with Amitabh Bachchan (Yudh). But luckily the film got pushed to October. You do very few feature films. Is that by choice or are good scripts hard to come by? Also with so many industry kids getting plump roles does it leave much scope for those who come with no reference or lobbying? I feel for women it becomes even harder, but for guys it is easier because there are so many roles for guys, you will at least get a sidekick’s role. But for girls there are only two roles, that of a sister or a heroine’s friend. These are the two main roles which are offered to every girl if you are not a star kid. You will get good roles in parallel cinema or indie cinema, but those films really don’t drive the box office. Have you faced harrasment at work at any point of time? What is your opinion about #MeToo? I think it’s good that women are speaking about it but people have to be responsible when taking names. It can’t be about revenge. That is not women empowerment at all. Right now, we are just talking about power play. It’s not only in the film industry, it’s in televison, journalism, banking, law and every business. It is important to pull that person up. I am very happy women are taking names. The word ‘no’ needs to be said out loud. We don’t say no because we are scared. We should learn to say no. It is a very powerful word. I am a little arrogant, so people think twice before saying anything to me. But those who have said horrible things or spoken like idiots are nowhere today. You were trolled and body shamed when you shared your bikini pictures during your trip to Australia. How do you deal with trolling? You don’t read it after a point. I was offended and affected at that time but then I ignored it and realised that I am not going to be ashamed of my body. It is my body, I’ll eat whatever I want and do whatever I want. I’ll continue living like that, whether they like it or not . And they are the ones who like my pictures and still troll me, so that’s ok.
Tell us about your role in The Accidental Prime Minister. I am playing Priyanka Gandhi and I have done it in the most honest way possible. I had help from producer-filmmaker Hansal Mehta and director Vijay Gutte. They have been very careful about how each character has played out. You have been working in films for many years but have still stayed in touch with theater. Why? You have to keep yourself fresh. And the only way you can do that is when you come on stage every day and do a full rehearsal and a play. Nobody does theatre in India for the money. I’ve been doing plays for six years now. It’s a joy to work and just see what magic every show creates. So, I just look for that magic and joy.